The Win Portfolio is a trio of profitable betting angles from Michael Carr at Lucrative Racing Trust and as such comprises of three services; Back Lucrative, Flat Flyers and First Class Fancies. All three have proved to be successful so far and can be used individually or as part of a portfolio as suggested by Michael, who "has been an avid Horse Racing enthusiast from a young age, and now has over 12 years experience in the industry. 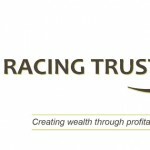 After leaving a career in design to work as a full time Horse Racing Investor, he founded Lucrative Racing Trust in 2011. The company focuses on teaching people how to create a supplemental income from betting investment, providing greater financial freedom in a time of economic uncertainty." Walkthrough Videos : Get shown around the members area, and taken step by step through how to place each days bets and record your results. Performance Reviews : Regular updates on recent performance, including stats and comparison to long terms averages, and relevant service developments. Results History and Templates : Downloadable results to compare with your own, and templates to help you keep track of your profit. Bankroll Management : Additional articles on recommended staking, managing risk, and accelerating profits using compounding. Full Support : Full access to Michael for any service related queries, or general betting advice. A subscription to the Win Portfolio is currently priced at £49.00 per month or £299 for a whole year, offering annual subscribers almost 50% discount over monthly fees and for those who like to try before they buy...Annual members get the first two weeks for £2.99 via this link, whilst monthly members can take 2 weeks for £4.99 via this link. BACK LUCRATIVE : Michael's single most profitable betting strategy since 2013, focusing on identifying bets which give the maximum amount of value. Since inception at the start of August 2013 to the end of August 2017, this element's record stands at 783/5505 (14.22% SR) for 1201.58pts profit at an ROI of 21.83%. FIRST CLASS FANCIES : A strategy focusing on first class racing, especially effective during the major festivals, with winners at up to 100/1 and since the start of 2015, this one is 173/750 (23.07%) for 343.24pts (+45.77% ROI). Overall the portfolio's record stands at 1148/6982 (16.44% SR) for 1894.08pts (+27.13% ROI). This review will now follow the progress of FLAT FLYERS for the next 60 betting days, using a £10 level stake at BETFAIR SP minus 5% commission on winning bets.